Cramer issued a statement Saturday seeking to clarify his point and saying he wouldn’t imply that sexual assault is less serious when committed by teenagers. Cramer said that barring any significant evidence being brought forward immediately, the confirmation process should move forward. Shortly after Cramer issued his statement, news broke that Ford’s lawyers indicated she would accept the Senate Judiciary Committee’s request to tell her story. Ford, a 51-year-old psychology professor, says an intoxicated Kavanaugh cornered her in a bedroom during a party in the early 1980s. She said he pinned her on a bed, tried to undress her and clamped his hand over her mouth when she tried to scream, and that she escaped only when a friend of his jumped on the bed and knocked them all over. Kavanaugh has repeatedly denied the accusations. President Donald Trump and GOP leaders are trying to usher the 53-year-old federal appeals court judge onto the high court by the Oct. 1 start of its new session and before the November elections, when Democrats are mounting a robust drive to grab congressional control. 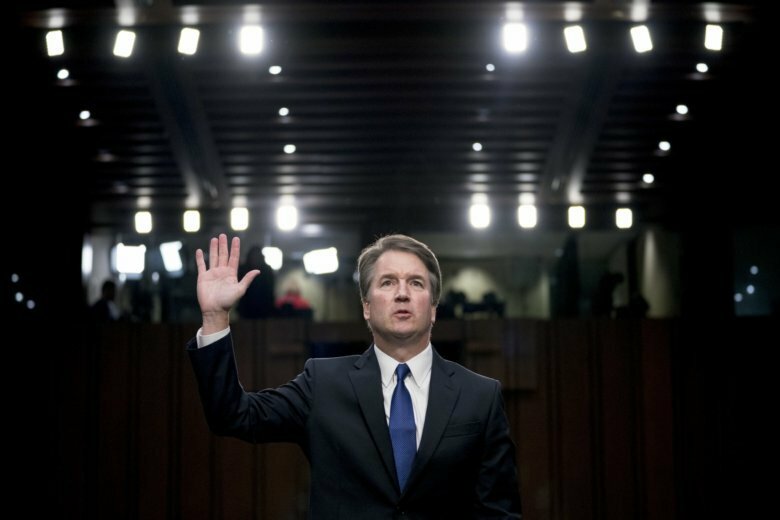 Saturday was the latest in a string of tumultuous days for Kavanaugh, whose ascension to the Supreme Court seemed a sure bet until Ford emerged last weekend and provided details of the alleged assault. Cramer, meanwhile, is trying to unseat Sen. Heidi Heitkamp, who is considered one of the most vulnerable Democrats seeking re-election. The race is seen as critical for Republicans’ chances to keep control of the Senate. Heitkamp said in a statement that Cramer’s comments are “disturbing” and don’t reflect North Dakota’s values.